Liz Sathe of Folio Fine Wine Partners will present 10 wines from the iconic Argentine winemaker Susana Balbo who, in 1999, founded the Dominio del Plata Winery in the Lujan de Cuyo region of Mendoza. She was the first female enologist in the history of Argentine winemaking, and is credited with creating the floral, citrusy style of Torrentes that has become Arentina’s signature white. Balbo’s reds are all very highly regarded, she’s know as one of the finest Malbec producers in the region. Join us and learn more about Argentine wines through the wines of one of its best producers! This is a dry Gewurztraminer, with full Gewurztraminer character, similar in style to the structured and complex Alsatian Gewurtz’s. Many Gewurtraminers you encounter will be at least a little sweet, we love this grape as a dry wine!! The grape tastes and smells a little like a Lychee Nut. If you’ve never tried a Lychee, you can sometimes find them canned at Asian markets, and definitely worth trying if for no other reason than to compare with a gewurtz! We always recommend Gewurztraminer as the ideal match for Thanksgiving Turkey, but it’s also one of the best wines for Asian and Indian food. Be sure to let the bottle warm up a bit before you drink this, the flavors are muted at refrigerator temperature, but really jump out of the glass as the wine approaches room temperature. A good inexpensive sweet gewurtz we have in the shop, is the Robertson from South Africa, it’s also yummy! 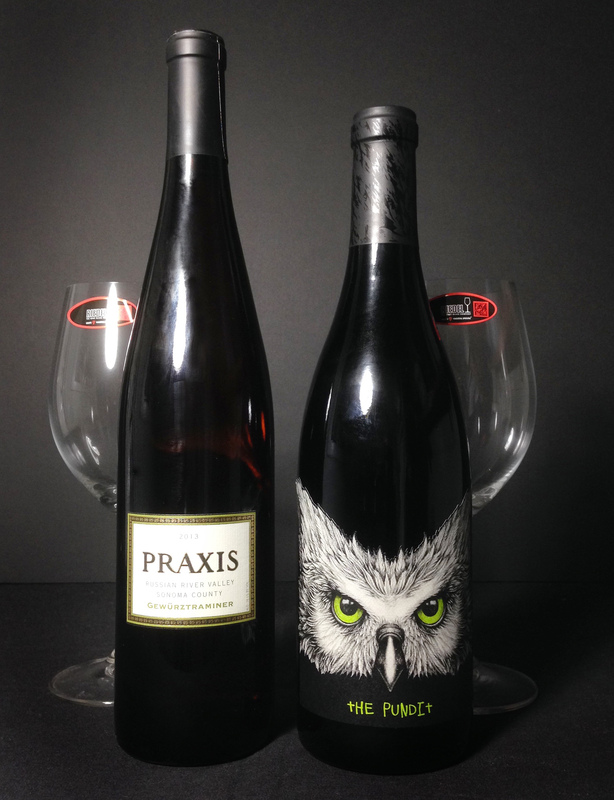 Wine Enthusiast gave the Praxis a respectable 89, I would rate it higher!! Here’s some ideas I pulled off the internet from “Food&Wine”, I’m getting hungry! !